How much more Central Pattaya can it get? 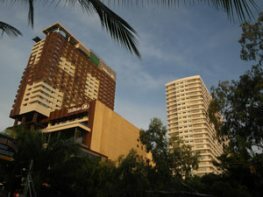 View Talay 6 is neighbors with Central Festival and the new Hotel Hilton on Pattaya Beach Road. Take me to condo listings. Take a short walk to Walking Street on the promenade of Pattaya Beach Road. You enter View Talay 6 Pattaya from 2nd Road if you are motorised and you also have a gate at Pattaya Beach Road which is accessable only with key card. 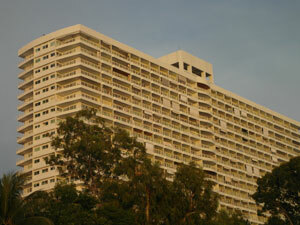 Nearby Soi 8, Soi 7, Soi 6. 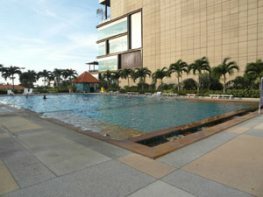 Large communal swimming pool, restaurants, 24 hour security, bars, massage parlor, mini mart, car rental, travel agent, laundry, keycard system. Features: Top Location. Luxury Condo. European Kitchen fully kitted, feature ceiling with dimmer lighting, air con & ceiling fan, fully furnished, large flat screen LCD & DVD. 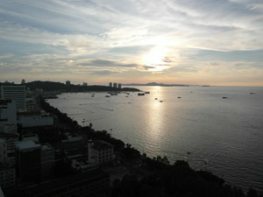 Stunning View of Pattaya Bay and Beach Road. Rent: 26 - 42,000 baht. Depending on season and length of stay. Contact Us by filling out the form below if you would like to have details about available units emailed to you.